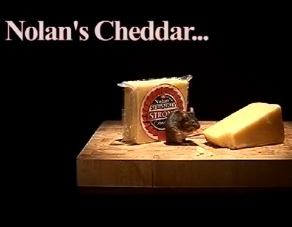 While I pen cookbooks and magazine columns, I earn my living mostly through advertising copywriting. 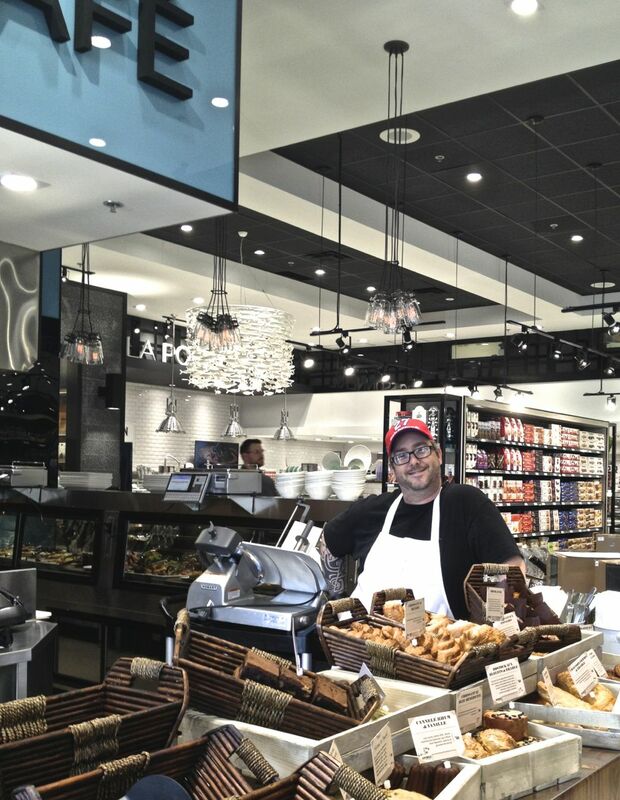 I couldn’t even tell you how many times, over the past 2-3 years, one client or another would come back from the States swooning over American gourmet stores, from the Whole Foods of this world to the trendiest Portland addresses. My client’s field research would lead to a modest but on-trend packaging, an innovative store display or, at most, a redesigned meat section. 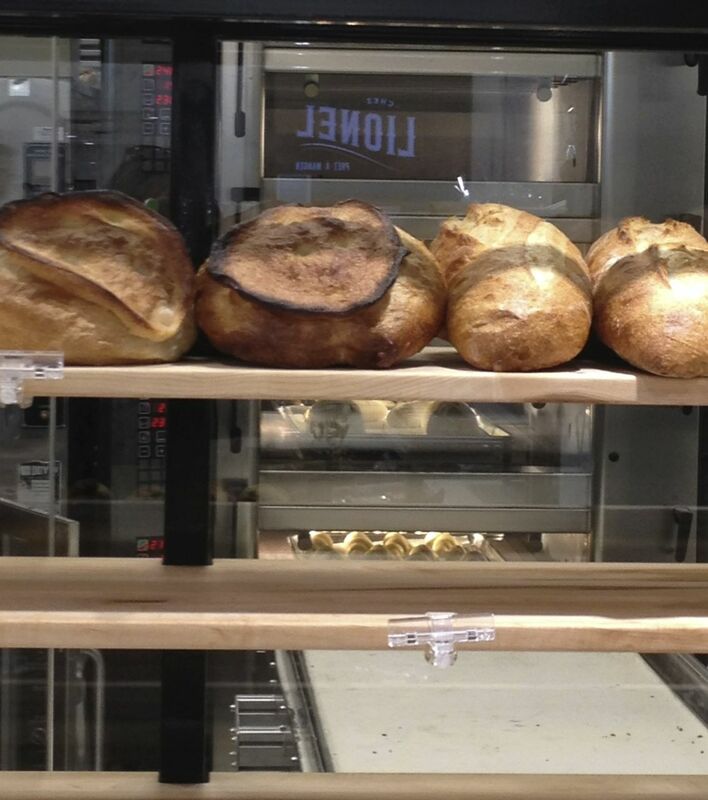 But investing heart, soul and pocketbook into a state-of-the-art foodie eldorado a la US of A, none dared… until now. Until the first Valmont Galerie Gastronomique which opened last week. 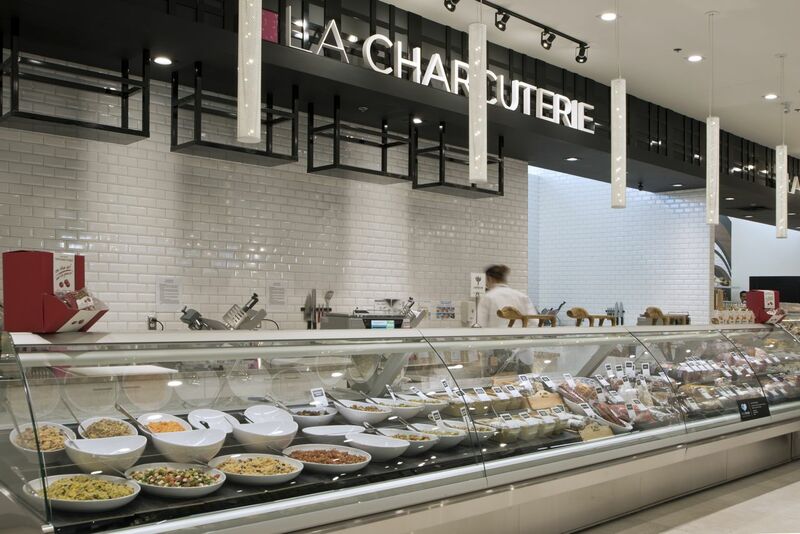 Located in Brossard’s Quartier DIX30 shopping center, with which I entertain a long-distance love-hate relationship, the new Valmont represents the dream “supermarket” for any foodie in the know. Looking for olive oil? They have the brands to convince. In the mood for an ostrich fondue? Search no further. 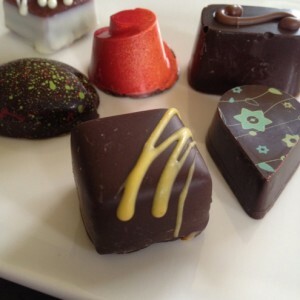 Need to eat your emotions with some Christophe Morel choccolates? If your budget allows, do dive in… Kraft-dinner-loving kiddo couldn’t care less about your blue-ribbon puttanesca? 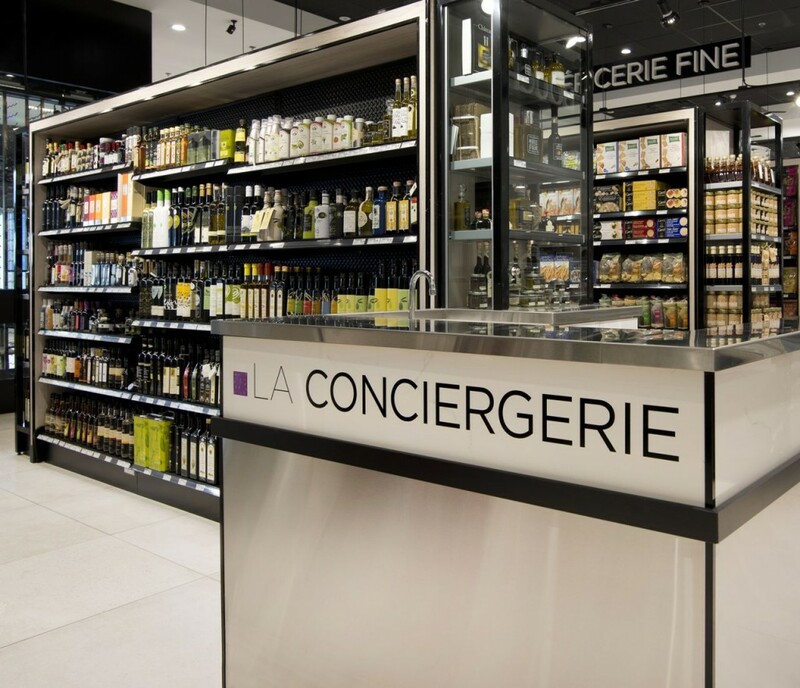 A small section even features the top 2-3 market leaders for each supermarket category, at competitive prices too. 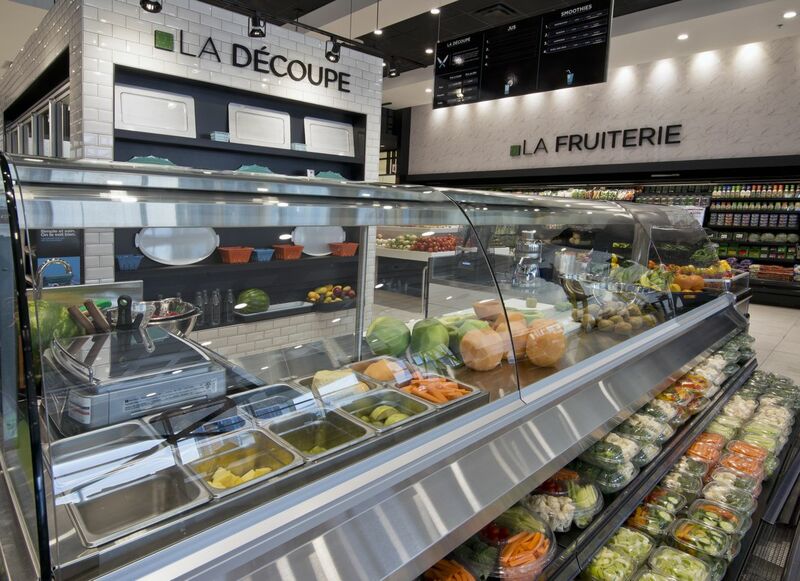 Borrowing the concept from fishmongers who clean and prepare fish to order, the new La Découpe counter trims and cuts fruits and vegetables your way, for a nominal fee. 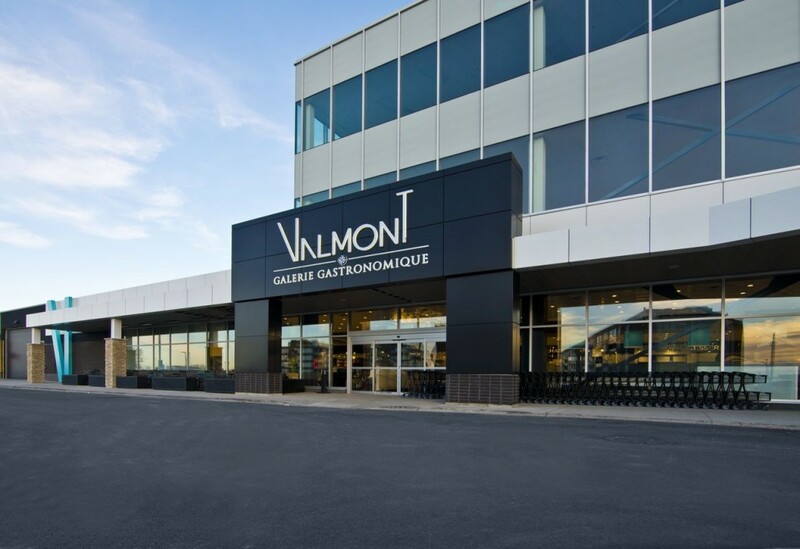 What I liked best about my guided tour of the new Valmont, led by Co-President Éric Fortin? 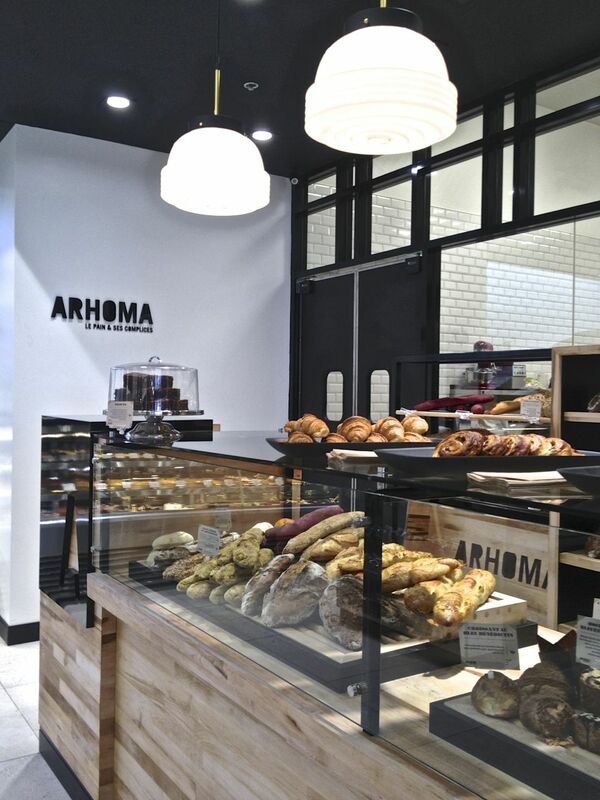 The “specialized boutique” approach for every store section, with experts at every counter, such as Arhoma for baked goods, Rolland for desserts and catering, as well as Lorrain for meat and fish (my Rosemère butcher that I love and enthused about right here!). The new bistro + take-out comes courtesy of chef Ian Perreault of Chez Lionel, whom I got to know when he participated in my cookbook 100 recettes pour toi mon coeur. 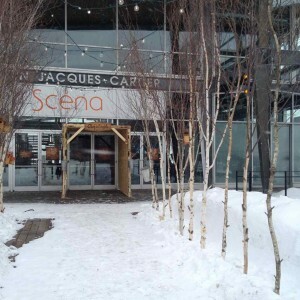 Ian has his own cellar of private import wines on hand, which you can buy, foregoing the SAQ, provided you also pick a meal to eat at the café or bring home. The bistro café, with its heated terrace, opens at the crack of dawn so early birds can drop by for the great coffees and viennoiseries of Toi, Moi et Café. 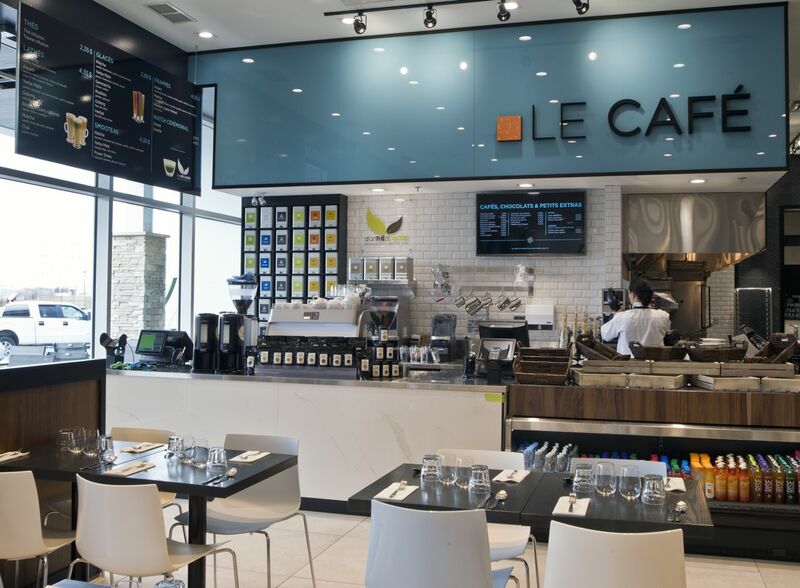 A few of the new Valmont Galerie Gastronomique novel services, like the on-site chef and Concierge, will be open on peak days only, from Thursday through Sunday. 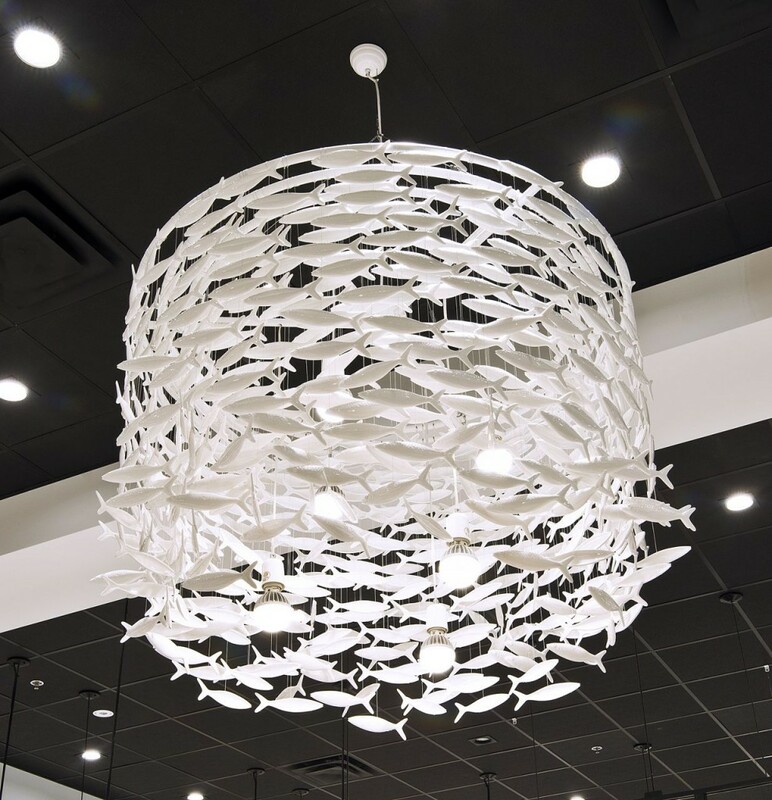 Valmont is dedicated to what they call “Local-Local” shopping, i.e. 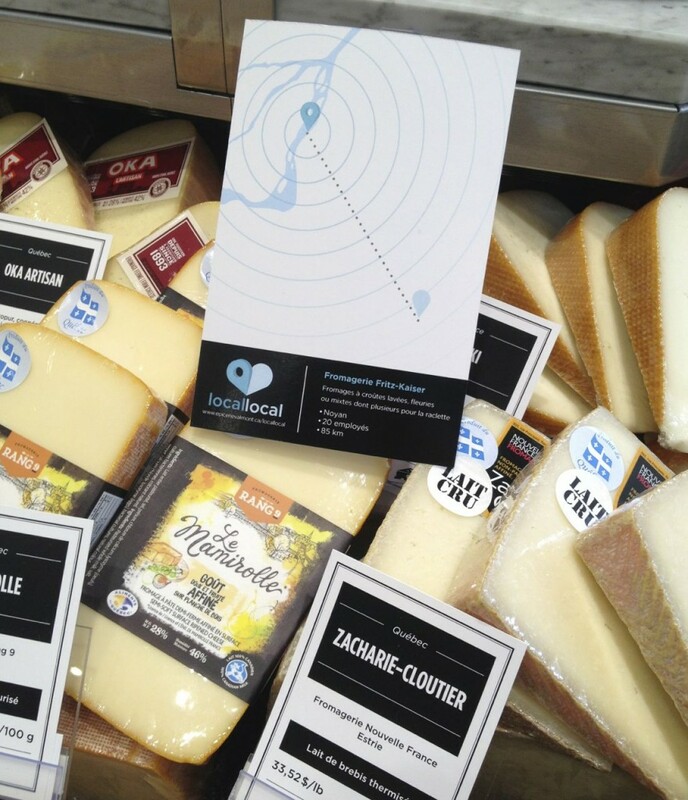 local stores near their customers offering local products from surrounding producers. The array of Québec cheeses is quite convincing. Finally, tip of the hat to GHA Design that signed the modern white-black-stainless-turquoise look of the new-style “Galerie”. It couldn’t be more removed from my old Plateau Mont-Royal fruit store, a regular haunt in a past, non-suburban life. Disclaimer: For ethical reasons, let me point out that I was mandated by a Montreal agency to write Valmont’s Graphic Standards Guide last year, which means they’re an indirect client of sorts. So indirect in fact that I met the team for the first time ever at the media opening… This post is not sponsored and strictly represents my personal opinion. Thank you to Valmont and photographer Mélanie Bellemare for some of the photographs here. I take full responsibility for the bad ones here as usual.